Cloud streaming company Agawi has announced its Lighthouse Partner Program for the AppGlimpse platform, which provides interactive ads to players in a “try-before-you-buy” format. 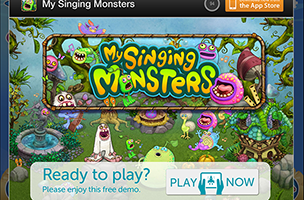 Players can try a few seconds of an advertised game or app, increasing user engagement as these ads offer an interactive experience that banner or video ads traditionally can’t provide. The Lighthouse Partner Program will allow ad networks, advertisers and publishers to access this AppGlimpse technology, with the program offering what Agawi calls “attractive pricing and collaboration on ad unit design.” Developers in the program can upload their app or game to the AppGlimpse dashboard, and the platform creates a version of the app to stream from the Agawi cloud to users on Wi-Fi, 4G and some LTE or 3G networks. The company has found “Glimpses” of 30 seconds perform best, and Glimpses themselves can be offered to players through interstitial, video or banner ads. The platform supports both iOS and Android. A limited number of positions will be filled in the Lighthouse Partner Program throughout Q1 2014, and interested companies can learn more on Agawi’s website.